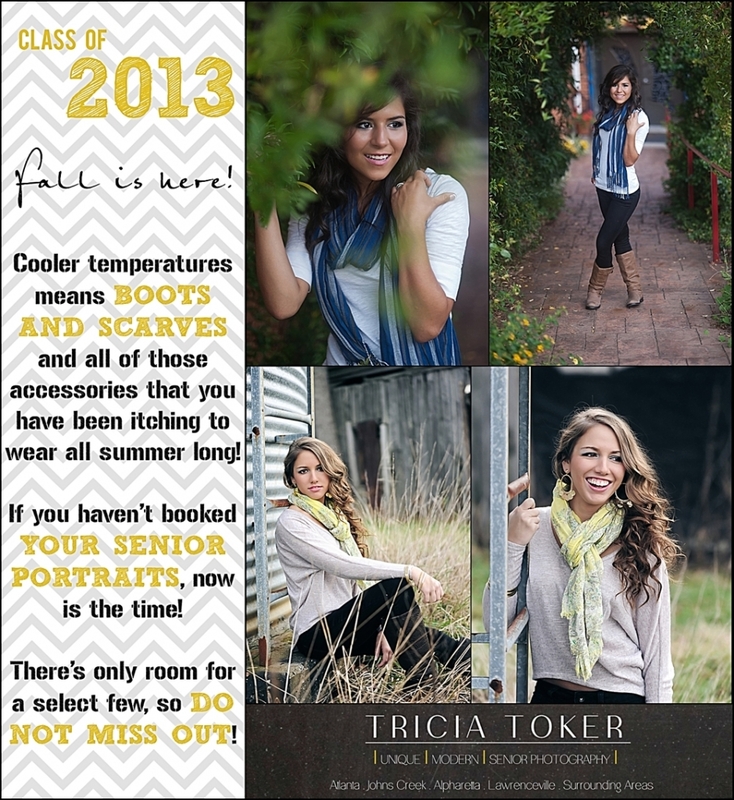 Fall is here and the cooler temperatures make it PERFECT for YOUR SENIOR PORTRAITS! If you haven’t booked yours yet, don’t worry! I still have a few spots left, so contact me very soon so you don’t miss out! Posted In: Alpharetta Georgia, Atlanta Georgia, Class of 2013, Fall, Fulton County, Grayson Georgia, Gwinnett County, High School Seniors, Johns Creek Georgia, Lawrenceville Georgia, Senior Portraits.